As most people know, going to the cinema is not always an affordable trip. Once you factor in the price of a movie ticket, drink and popcorn (even though you said you wouldn't have any, but you can't resist that smell!) it all adds up. Before you know it, you end up spending $50. Luckily for us, this is no longer the case at Reading Cinemas West Lakes. They have officially announced a price drop in their movie tickets. Hooray! Standard movie tickets are now $10 everyday, all day for everyone! They've even dropped their Gold Class lounge tickets to only $20! Head down to Reading Cinemas for an inexpensive trip to the movies. 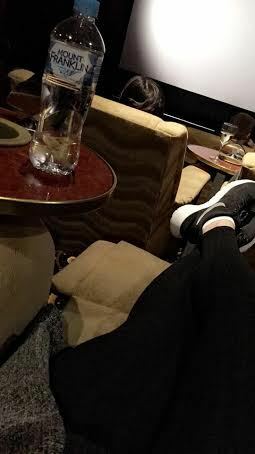 Although, if I were you, I'd treat myself to some luxurious recliner chairs in Gold Class without breaking the bank. Who doesn't want to put their feet up and relax while watching a movie? Why? Everybody loves the movies. Cost: $10 standard, $20 gold class.